When your smile looks bad, you might not know where to start to fix it. Do you begin by getting rid of the stains making your teeth look dull? Do you get chips and cracks filled in so your teeth don’t look damaged? Or do you get orthodontics to make your teeth look straight and even? If you are having trouble deciding, you should consider dental veneers. This one incredible treatment can get rid of several different problems, from stains to chips and much more. Here are seven amazing ways veneers can help you get a winning smile. Veneers change the shape of your smile like braces can. If your teeth are crooked or misaligned, your smile may look unattractive. People like to see symmetry in a face, so one crooked tooth can ruin that. Orthodontics like braces or Red, White and Blue aligners are often needed to fix such problems, but if the problem is small, veneers can often help. By making the veneer slightly bigger than the tooth it will go on, it can cover gaps between teeth. The veneer can also make crooked teeth look straight in the same way. All of a sudden, your smile will be full of even teeth. Veneers act like teeth whitening without tooth sensitivity. When your teeth collect stains from wine, coffee, and more, they lose their bright, healthy white color. Your smile becomes dark and yellow. No one wants to see that. Teeth whitening can restore your natural color, but it won’t last forever. There’s also a small risk of making your teeth sensitive to heat and cold. Because porcelain veneers are made to look like healthy teeth, they will cover all of the stains. This gives your teeth that healthy white color instantly — and for years. Veneers cover any chips or cracks. The enamel on your teeth is incredibly strong, but it’s not impervious. Just like a car can collect dents and marks over time, so too can your teeth. Chips and cracks can pop up on your teeth no matter how good you are at taking care of your dental health. One way to help reshape your teeth is through tooth bonding. A resin material is carefully placed over your teeth to fill in any damaged areas. However, dental veneers can do the same. By placing the veneers over the front of your teeth, any imperfections or damage there disappear instantly. Veneers improve the shape of your teeth like tooth contouring. Some teeth can have a chip right along the edge, making the smile look a bit ragged. Teeth can also just naturally be uneven along the sides or bottom. One way to even out such teeth is with tooth contouring, but that removes enamel and can weaken your teeth. Dental veneers can be made just long or wide enough to give your teeth an even edge on all three sides. It does this without removing any enamel. Veneers last a long time. There are some dental treatments that either do not last too long or need to be redone every so often. Teeth whitening can sometimes need to be done again, especially if you drink lots of coffee. A filling might need to be replaced with a dental crown after so many years. Dental veneers, however, are meant to last a long time. 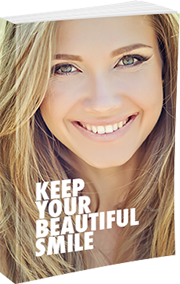 As long as you don’t injure your teeth, veneers can last twenty years or longer. Veneers are easy to maintain. Sometimes, a dental treatment requires special care to stay effective or not hurt your teeth. If you get braces, for example, you need to use a special brush to keep food from collecting along the brackets and wires. If you don’t, you might get cavities. Dental veneers do not require any such special care. You keep brushing and flossing like normal, and that’s all you need to help keep your veneers looking as great as the day they were put on. Our CEREC machine makes them in one visit. Normally, veneers have to be made in an off-site lab. The dentist would take measurements of your teeth, send the results to the lab, and wait anywhere from 1-3 weeks before the veneers showed up at his office. But at our Alma, MI dental office, we have our own CEREC machine. With this, you’ll get three-dimensional measurements taken digitally. Then the CEREC machine makes porcelain veneers that will fit your teeth while you wait. You can come in and walk out with veneers placed the same day. Dental veneers truly are amazing. Call us today at 989-796-4848 for an appointment so veneers can help you get that winning smile you’ve always dreamed of.